The patches can be customized in both designs and materials. Polyester threads, metallic threads, woolen yarn, and other materials can be chosen from. The high-quality patches come alive and are easily applied. CSTOWN now provides embroidery patches both in large stock and in customization. Tell us your idea, sizes and quantities for quality Iron on patches orders. 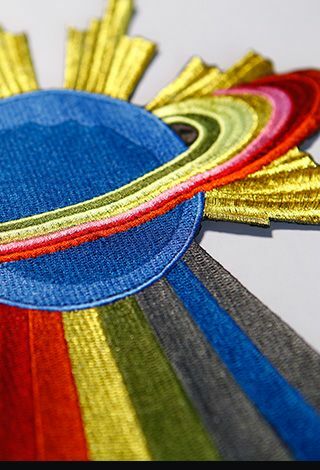 The embroidery patches normally employ polyester threads and twill backing for an amazing express. 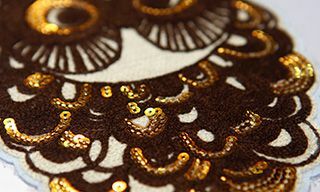 Sequins, metallic or towel threads are also a great material subsititution. So is backing materials and borders. 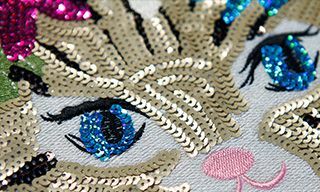 Get large stock or customize the sequin designs of patches in kinds of themes for your business. Custom sequin patches can be also in a quick turnaround.